The nation’s top-selling sports scale. The Befour "Take-A-Weigh" is renowned in sports that require precise weight measurements on the go. Also great for home use, athletic training, and weight management. This scale can be taken anywhere and precisely weigh anything from 0 to 500 lbs. to within ± 0.1 lb. Based in Saukville, Wisconsin, Befour has been engineering, manufacturing, and testing the finest professional products on the market. Made in USA. 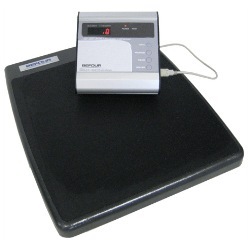 Befour scales can be found in finer home gyms; however, most are used in hospitals, physicians’ offices and nursing homes in the healthcare field, as well as commercial gyms, professional sports teams, police and fire departments, schools and universities, and the United States Armed Forces in the sports and fitness arena. As a family company, Befour intentionally operates with a limited marketing budget, preferring to invest in quality materials and designs that provide a superior value. The Befour PS-6600 ST is the "Gold Standard" for wrestling and team sports weighing needs. Bright LED digits and extended life NiMH rechargeable batteries. The nation’s top-selling sports scale for the past decade. Great for wrestling teams and coaches. 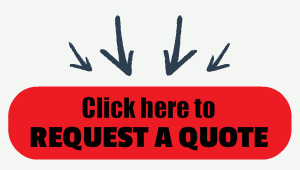 The “Take-A-Weigh" is renowned in sports that require precise weight measurements on the go. Also great for home use, athletic training, and weight management. This scale can be taken anywhere and precisely weigh anything from 0 to 500 lbs. to within ± 0.1 lb. Convenient, repeatable, accurate, and rugged, the PS-6600 ST is everything a portable scale should be. “Super Tuff" ST platform features one-piece cast aluminum construction that is lighter, stronger, and more durable with safe rounded corners and a recessed, non-skid rubber mat. “Plug & Weigh” cable system connects the platform to the console with a standard USB cable. Should the cable ever be damaged, replacement takes only minutes and can be easily done by the scale user. The PS-6600 ST is powered by either its internal rechargeable battery or through a wall outlet with its AC adapter. The powerful rechargeable NiMH (nickel metal hydride) batteries are environmentally-friendly, provide more weighings per charge, plus keep a charge longer than ever when not in use. Put the scale away charged at season’s end and it will be ready for action next year.